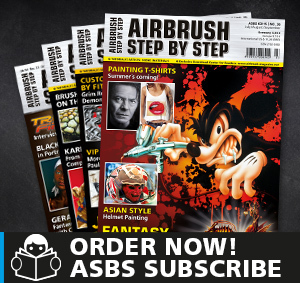 Order the current ASBS magazine here. 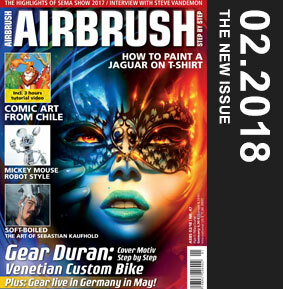 Did you miss an older issue? 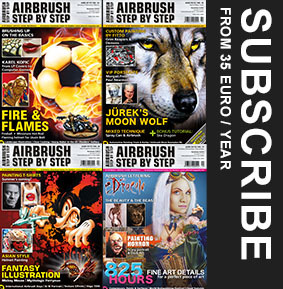 Then you can order all magazines that we still have in stock here as well. You lack all issues from one year? Then order our low priced annual sets (subject to availability). 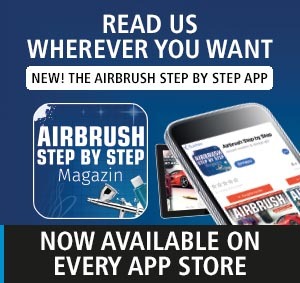 For all those, who just don’t want to go anywhere without their favorite magazine: There’s the new Airbrush Step by Step app for all iOS, Android and Amazon devices. 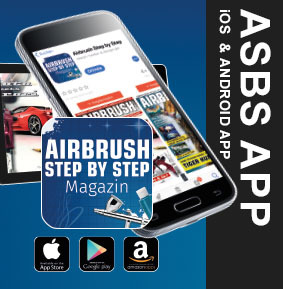 Read your ASBS magazine how and where you want! All books are available as e-book in PDF format. 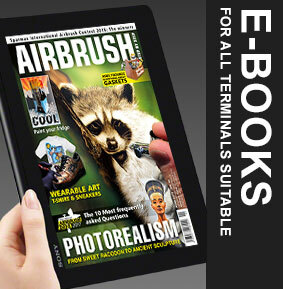 – Download instantly and start reading – no waiting! – Zoom in images and print as many times as big as you want!